Much has been written about the benefits of developing your child’s self-regulation skills. Self-regulation helps your child concentrate, it makes it easier for her to express and deal with her emotions, and it fosters positive social, academic and psychological outcomes. We now know that encouraging conversations around emotions in our day-to-day activities helps children strengthen their self-regulation skills. The good news is that it is relatively easy to incorporate these conversations into everyday life. This could look like talking to your kid about your own feelings, encouraging him to talk about his by asking the right questions (tell me one thing that made you sad today; tell me one thing that made you happy today; tell me one thing that makes you scared…), validating his emotions (I can see you’re sad, I know you’re frustrated, I would be angry too…) and using everyday situations as a tool to help your child learn to navigate his emotions effectively. If it were easy to fully develop children’s self-regulation skills, then there would be practically no more meltdowns, tantrums, terrible anxiety, and other forms of “obnoxious behavior”. Instead of throwing a tantrum because you put three pieces of fruit in his cereal although he wanted only two and a half, your child would simply halve the third slice or even say “no big deal” and eat all his fruit. The truth is, helping your child develop his self-regulation skills can feel like an impossible task and it doesn’t help that the results can be a long time coming. Worse, some kids never really develop self-regulation skills and thus struggle with their emotions well into adulthood. While much has been said about the importance of teaching your child to manage her emotions by herself, much less has been said about the kids who never quite learn to cope with strong emotions on their own. Developing your child’s self-regulation skills makes it easier for her to deal with emotion-provoking situations, but in no way does it work the same for all kids. 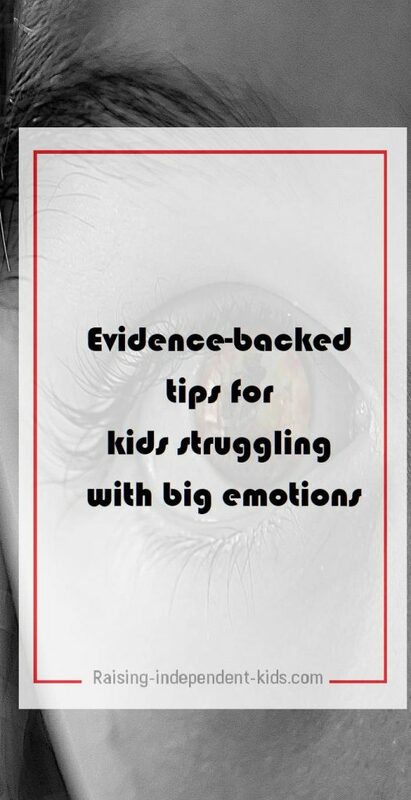 Emotions can be difficult to navigate, and even more so for certain kids. However, even the children most prone to emotional upheaval can benefit from some forms of emotional regulation strategies. One of these is the mutual regulation strategy. Erik Erikson was among the first developmental psychologists to speak of the need for mutual regulation when dealing with children predisposed to emotional disturbance. 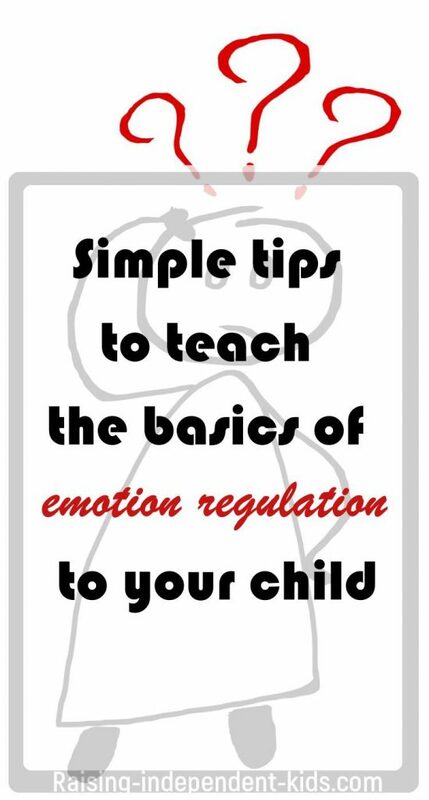 Mutual regulation means that YOU must be present to help your child deal with difficult emotions. 1) Work on developing a sense of trust. Your child needs to believe that he is safe. Although emotionally safety is a term often used in couples’ therapy, it may also apply to the parent-child relationship. It refers to fostering a strong parent-child bond and showing your child that you hold her in high esteem. A child who feels emotionally safe is better able to express his emotions because he knows that these emotions will be perceived as valid. 2) Model the behavior you want to see. An anxious parent is more likely to raise an anxious kid, and there is evidence to support these views. Modeling the behavior you want to see does not mean repressing your emotions. It simply means showing your child that everyone experiences emotions such as anger and anxiety, but they can be dealt with in appropriate ways. Mindfulness helps reduce stress and anxiety and can even make your child more attentive. It has been proven to have a positive impact on kid’s overall well-being. Remember that there are multiple age-appropriate mindfulness exercises that are easy to apply at home. A child needs different types of stimulation at different times of the day. While he may enjoy playing with play-doh in the morning, he may be unable to tolerate the same activity in the afternoon. Optimal stimulation is a term that is used to refer to your ability to understand how much stimulation your child needs at different times of the day. One way you can achieve this is by observing him and incorporating different sensory activities throughout the day. I will start by saying that situation selection masks rather than helps your child deal with difficult situations. Having said that, it is one of the most effective strategies to help your child deal with these situations. This strategy refers to the conscious decision to avoid situations perceived as emotionally difficult. Situation selection might look something like this: your child is anxious about swimming, you encourage her to choose soccer instead. Your child has a hard time with failure, you push her toward situations in which you know she will encounter success. It must be said, however, that situation selection is quick fix solution and does your child a great disservice in the long term. While it can come in handy on some occasions, it is important to help your child gradually overcome her anxiety and find ways to deal with stress-provoking but unavoidable events. Situation modification is a better alternative to situation selection. This strategy involves changing the perception of an anxiety-provoking situation. For instance, if your child easily gets frustrated by his inability to read, you could come up with different strategies to reduce the anxiety associated with reading. For instance, you could install a read-aloud-tradition for the entire family or play a family game where each family member must write a new word everyday and stick it on the fridge. If your child is anxious about swimming, talking with her instructor to find different solutions may make it easier to deal with his anxiety. Going over difficult situations ahead of time can also help your child learn to better deal with them. Going over questions such as “What scares you most about this event?” “What would help you most?”, “What can you do to feel better?” might make it easier for your child to feel more empowered about dealing with difficult situations. Coming up with a code or a plan can help reassure your child and give her the tools she needs to deal with these situations. Your ability to draw your child’s attention away from emotionally disturbing situations can help her learn to cope with her emotions more effectively. However, distraction is more likely to work if you are aware of your child’s triggers and employ a distraction technique before her emotions overwhelm her. Distraction can be achieved by proposing a different activity, proposing games or sport activities, proposing outdoor activities or proposing activities that encourage her to focus her attention elsewhere. 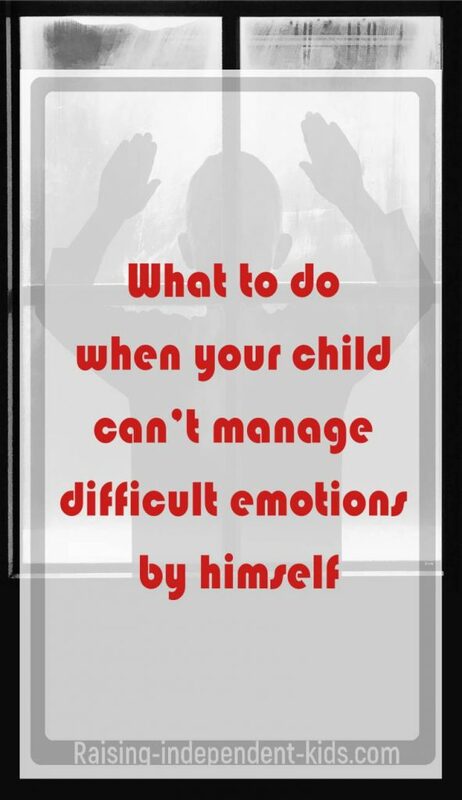 There are many coping strategies you can teach your child to help him better manage difficult emotions. Different children will respond to the same strategy differently and some strategies might work in some cases but not in others. It is important to keep in mind your child’s level of development (not age), his temperament, and what both of you are comfortable with. Multiple visual coping strategies, for instance, anxiety coping cards placed where your child can easily reach them may help him gradually learn to deal with big emotions on his own. Using mutual regulation can help even those children most predisposed to emotional disturbance to deal with difficult emotions. The thing to remember is that by using these strategies over and over again, your child is more likely to use them by himself at some point. 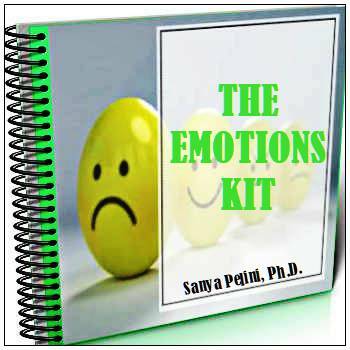 If your child is struggling with difficult emotions, The Emotions Kit will help give you tools to communicate with him/her about emotions. Thanks for the feedback Cindy!